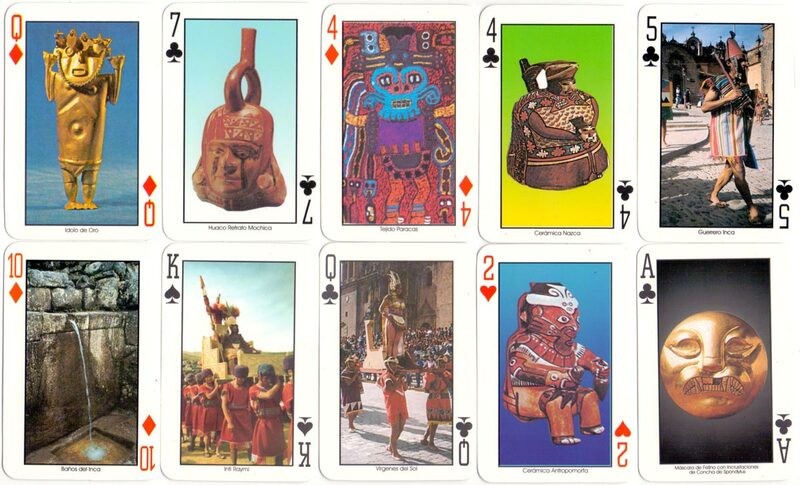 Pre-Incas & Incas Souvenir Playing Cards, Cusco, Peru, 2000, showing pre-Inca and Inca artefacts and ruins. 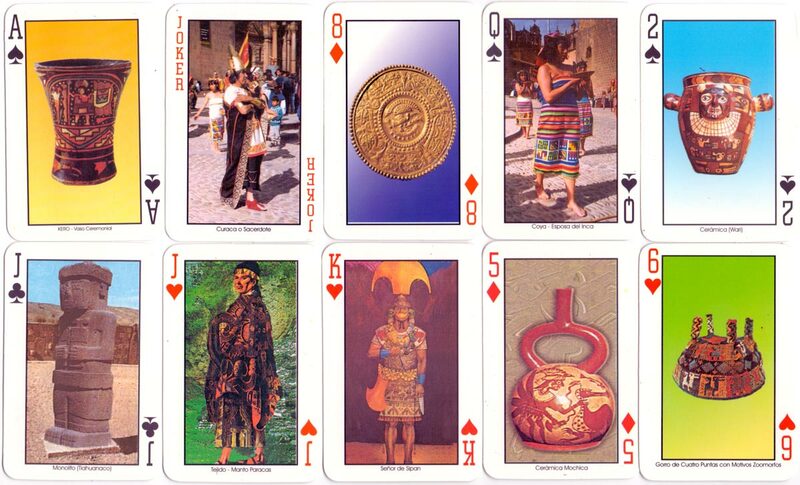 The cards have a laminated plastic finish. 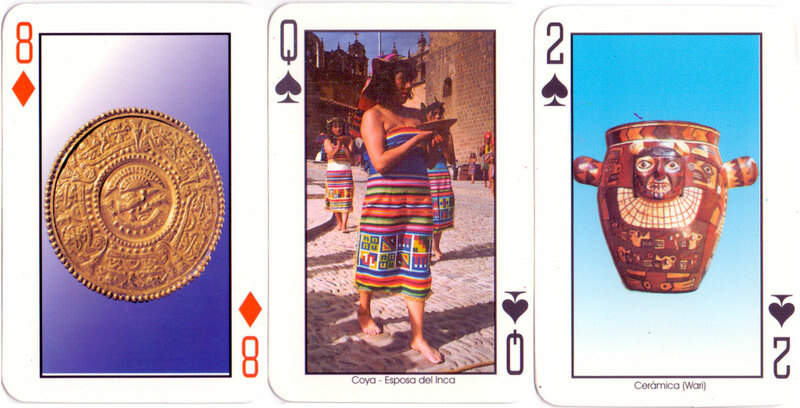 Above: Pre-Incas & Incas Souvenir Playing Cards, Cusco, Peru, 2000. 52 cards + 2 jokers in box. The reverse shows stone masonry in grey border.